This two-day RYA Practical Powerboat course in Greece provides the skills and background knowledge needed to drive a powerboat and is the basis of the International Certificate of Competence. It includes close quarters handling, high speed manoeuvres, man overboard recovery, collision regulations and basic navigation. Launching and recovery, boat handling, securing to a buoy, anchoring, leaving and coming alongside, man overboard, basic navigation, rules of the road. Method of assessment: Continual by your Instructor, there are no tests or exams. 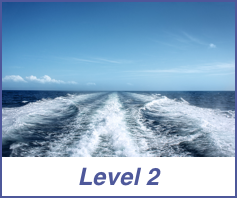 Certificate awarded: RYA Powerboat Level 2 (If candidate is under 18 then certificate will be endorsed accordingly). Price includes all tuition, fuel, mooring fees, use of wet weather clothing and Greek VAT at the appropriate rate.